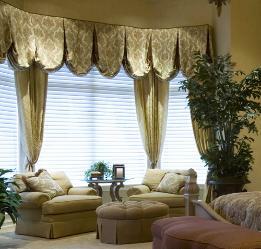 We Clean your Drapes, Blinds, Shades ONSITE. Get rid of the dust, dustmites and that ugly midlews on your drapes. possibly make family members sick from mold exposure. How to Clean Window Coverings? day! No more living in a 'fish bowl" for weeks waiting for your drapes to clean. * Cleaning Luminette, Silhouette, Duette, Honeycomb, Cellular Shades, Roman Shades ... .
headaches of having your precious window treatments RUINED by a novice cleaner. water. Silk will lose its texture and shine! last longer. It also helps to prevent mold growth. OR Ship Your Curtains and Shades to us for cleaning. Your shades typically dry out within 30 minutes and ready for use again. 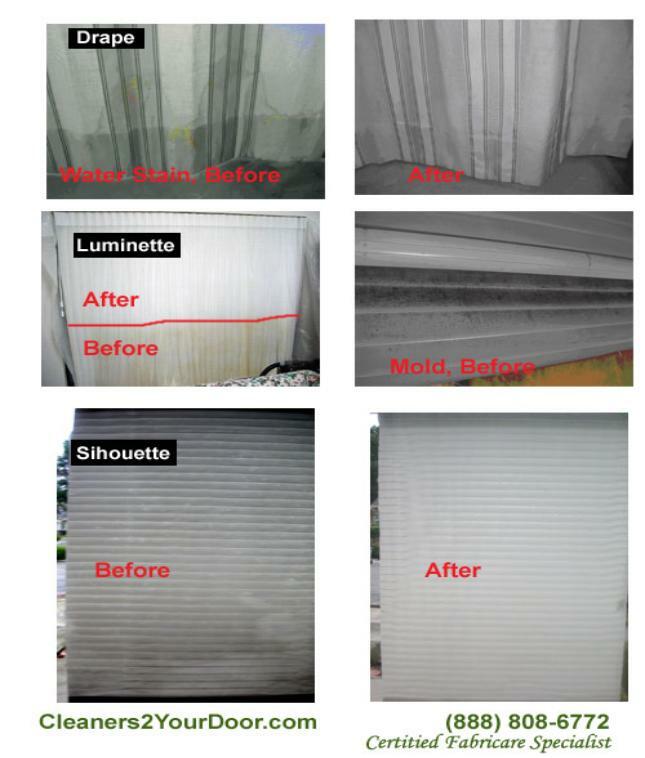 method on your window coverings, but normal wear & tear due to elements are expected and not our responsibility.